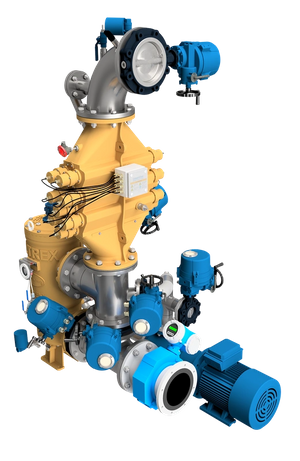 DESMI Ocean Guard A/S said that DFDS has selected the CompactClean Ballast Water Management System (BWMS) for installation on its existing fleet of vessels. DFDS and DESMI Ocean Guard have signed a frame agreement for supply of CompactClean Ballast Water Management Systems to the existing fleet of vessels of DFDS. The agreement covers more than 40 ferries to be retrofitted in the period from early 2020 until end 2024. Most of the vessels will be retrofitted with either a CompactClean-340 or a CompactClean-500 system, with max flow capacities of 340 m3/h and 500 m3/h respectively. A few vessels will be retrofitted with CompactClean BWMS with 750 m3/h or 1000 m3/h capacity.